Laurel Wassner and a local top triathlete training coach will be hosting a clinic at SwimLabs Westchester on June 16th from 4:00-8:00 pm. 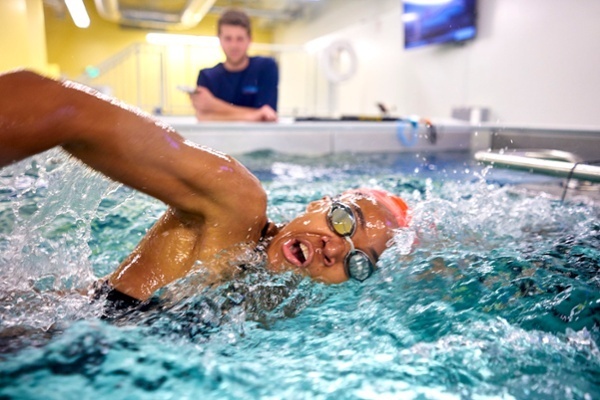 The clinic is available for triathletes and competitive swimmers (ages 11 and up) and the event is free of charge and features a FREE 15-minute lesson*. Get the chance to meet Laurel, IRONMAN staff and a local top triathlete training coach to ask questions, get tips and try out the SwimLabs video analysis technology. Call 914-460-4415 or email westchesterinfo@swimlabs.com to sign up. Hurry, space is limited! *Free 15 minute video analysis lessons with an experienced coach to the first 30 sign-ups (first come first served, limited to first-time customers only, must be active triathlete training or competitive swimmers only, limit 30).